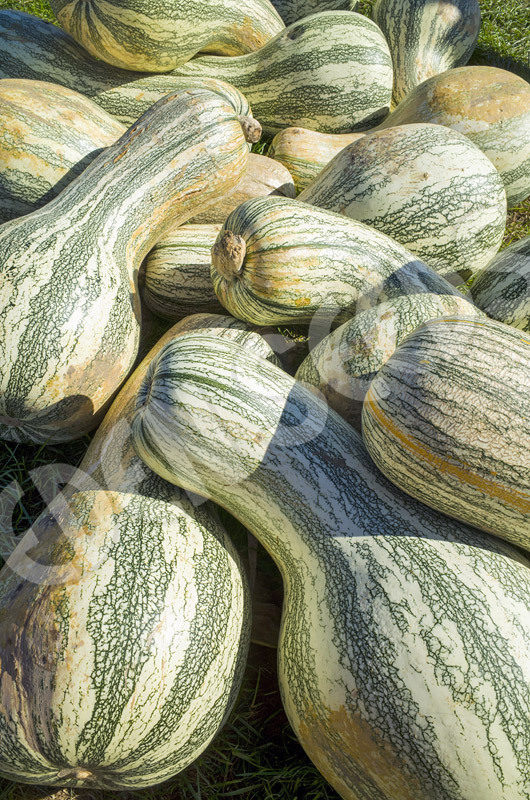 Green mottled stripes on greenish white skin, light yellow flesh, mild flavour similar to button squash, hard thin rind, pear shaped with bent neck, favourite for boiling, baking and pies. Heat tolerant trailing vine, 5kg to 7kg fruit stores well. Originates from the Caribbean. Sow spring and summer. 75 to 115 days.